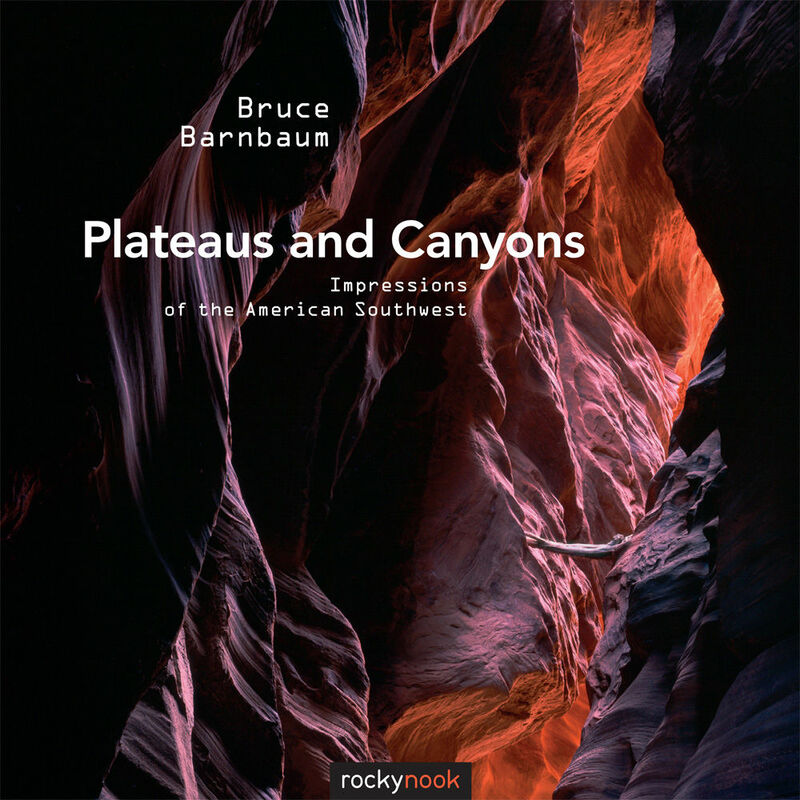 Plateaus and Canyons: Impressions of the American Southwest is published by Rocky Nook and includes a beautiful collection of photographs by master photographer Bruce Barnbaum. Set in the Colorado Plateau, a region covering Colorado, New Mexico, Arizona, and Utah, this book showcases 95 full-page color photographs with accompanying descriptions. Throughout the book are short essays in which Barnbaum shares his stories, thoughts, and feelings regarding this majestic territory. He begins with his first introduction to "Canyon Country" in 1975 when the area was little known and rarely photographed and moves on to discuss the changes he has witnessed over the years and the irreversible damage humans have caused. His images reveal in exquisite detail the hues and layers of the various minerals and rock formations found throughout the region, and they capture the breathtaking landscapes that were formed over hundreds of millions of years from faulting, folding, uplifting, and being buried under seas. Captured here by the eye of a true artist are the remarkable colors and landscapes of Antelope Canyon, Horseshoe Bend, Factory Butte, Colorado River Plateau, White Cliffs, Painted Desert, and many other notable locations.